Being the proud owner of a Corgi puppy is an exciting experience. 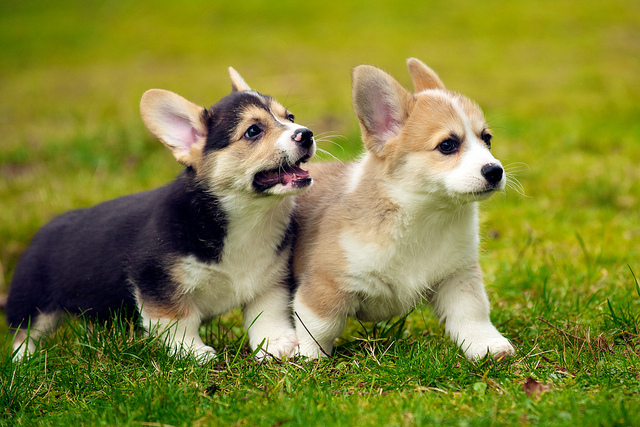 A Welsh Corgi is a nice dog to have especially when you understand this breed and anticipate how your dog will react under different circumstances. Let’s take a look at what to expect from a Corgi puppy as it grows to an adorable adult Corgi. The Welsh Corgi is a small dog but with a sturdy body. Some people call it the big dog trapped in a small dogs’ body due to its sturdiness and also its larger than life attitude. It can weight to around 20 pounds and has a life expectancy of around 15 years. 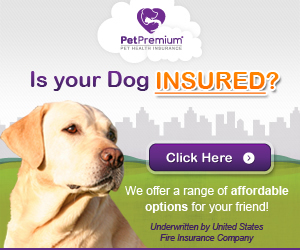 They are highly intelligent dogs, easily trained as well as extremely loyal. They are social dogs and they will get along with all members of the family including other pets. However, Corgi puppies and adults will exhibit aggressiveness towards strange animals. They are highly adaptable to different weather conditions. Corgis bark more than the average domestic dog. This is due to their herding instinct. They can bark at people, other animals and they tent to react to any noise. They require training early in their life in order to eliminate the urge to bark at even the slightest change to their normal surroundings. However, this barking is hard wired and even with training, some Corgis will continue barking. Make sure that you live in a place where the barking wouldn’t pose a problem to your neighbors. You could also try to use collar training whenever Corgis bark which has been proven by other users to be very effective. Besides barking, Corgis will use some vocalizations to express varied opinions or get some attention. These include grumbling, whining, woofing, howling and can produce a series of whining grunts. You have to be comfortable with the fact that the Corgi is not a silent dog and can even wake you up in the middle of the night. 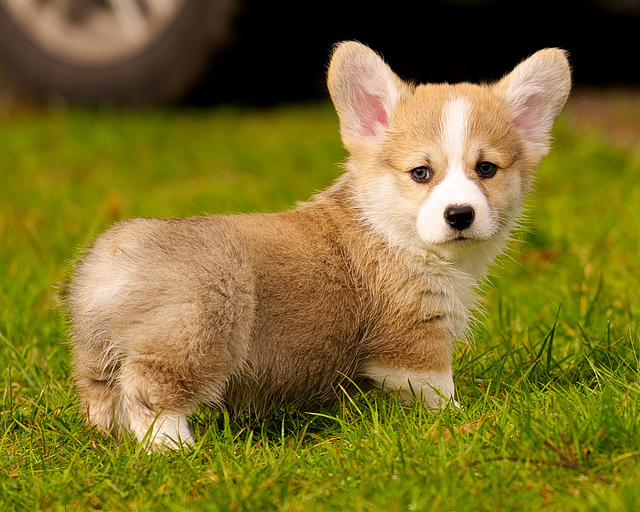 Expect that your Corgi Puppy will shed… a lot…..
Welsh Corgis have a double coat. This makes them weather resistant which is a major contributor to their ability to adapt to different weather conditions. However, this does come with a heavy price as Corgis are heavy shedders. They shed lightly all year round and heavily twice a year. They shed so heavily that you will find balls of hair all around your home. This can be minimized through regular grooming. When they are shedding heavily, groom them daily and at least once a week during the other times. Be prepared to put up with some shedding even after grooming. However, the good thing about the Corgi’s coat is that it has an excellent ability to repel dirt. All corgis look clean and well groomed at all times. Even when they run through mud or dirt, they are able to shake off all this dirt easily. Corgis will rarely require a bath due to dirt. They only need it to get rid of any smells. Corgis nip heels of people and other animals. This is a herding behavior due to their heritage, when they used to drove groups of animals to the required direction by nipping at their heels. This behavior is particularly dangerous if you have children at home. Train your Corgi while it is still a puppy and show the little Corgi that nipping is not acceptable. Corgis also tend to herd people to a single room at home. It’s been observed that they are happiest when everybody is grouped together. When people are in different rooms, the Corgi might bark or seem restless. Welsh Corgis are very active dogs and they exhibit high amounts of energy. They require daily exercise and a least once a week take them out for a good work out. When they lack this exercise they will be unhappy and it might become very challenging to deal with them. Still at this point, Corgis have a good appetite and without adequate exercise they will easily gain weight which can be a problem due to their small bodies. These are some of the things to expect from your Corgi puppy as it grows older. Keep in mind that some behaviors are specific to the breed and may be hard to eliminate. Always be patient with your Corgi while you train it. This portion of such a prestigious site dedicated to the health of canines should be much greater in detail, have links to food preparation sites, dietary variety, etc. If this was an element that was included for dogs (a lot of breeds I think would share similar, “optimal” diet) and also how the diet should evolve with the puppy’s age and health and activity level. The site is superb–just a suggestion to make it literally the “one stop shop for all health manners and developmental milestones” .